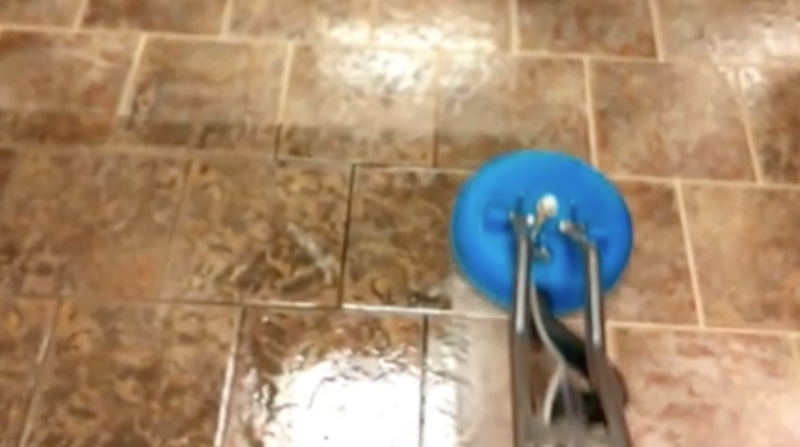 Do You Need to Use Different Cleaning Methods on Tile Flooring? When it comes to regular upkeep around your home, you probably have several different cleaning solutions that you use. Although there are several types of tile materials - ceramic, porcelain, glass, etc. - they can generally be cleaned using the same products. While some tile may absorb color and stains differently than others, they all need grout - a porous material - to fill the space between them. Unfortunately, grout can become easily stained (much easier than tile), but using the right methods and products is key to removing stains from both grout and tile. Why Does Grout Need to be Placed With Tile? Although there has been tile placed without grout, it’s never recommended. The grout helps to hold the tile in place and keep it from shifting. When tile moves without grout, it can come in contact with surrounding tiles - potentially causing cracks and breaks in the flooring. Grout is an essential part of tile, whether it’s on the floor or placed as a backsplash. Is There a Cleaning Method Safe for Grout and Tile? Many household products won’t remove deep-rooted stains, especially in grout. However, steam cleaning - also known as hot water extraction - has been known to lift stains out of both grout and tile. While you may not need to steam clean regularly, hiring the professionals every once in awhile can make a huge difference in the appearance of your flooring. Steam cleaning differs for each floor type - what works for tile, won’t work for hardwood floors or carpet, and vice versa. The first step in any cleaning process is to remove any dirt and debris. When you hire the professionals, they’ll do this for you - thoroughly vacuuming and sweeping. As with other floors, the cleaning solution is then applied - although this solution is specific for tile flooring. Steam cleaning uses a high-pressurized system, rinsing the floor with water and suctioning up excess moisture. Depending on the condition of your flooring, your technicians may advise colorizing the grout - but if not, they’ll go ahead and seal your tile. The process is pretty simple - don’t hesitate to contact The Steam Team for an estimate today!